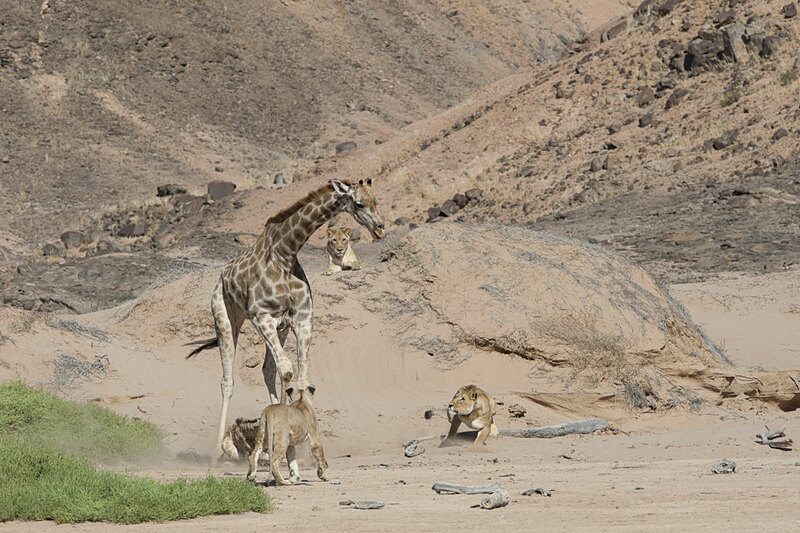 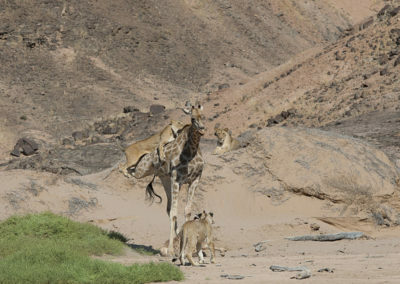 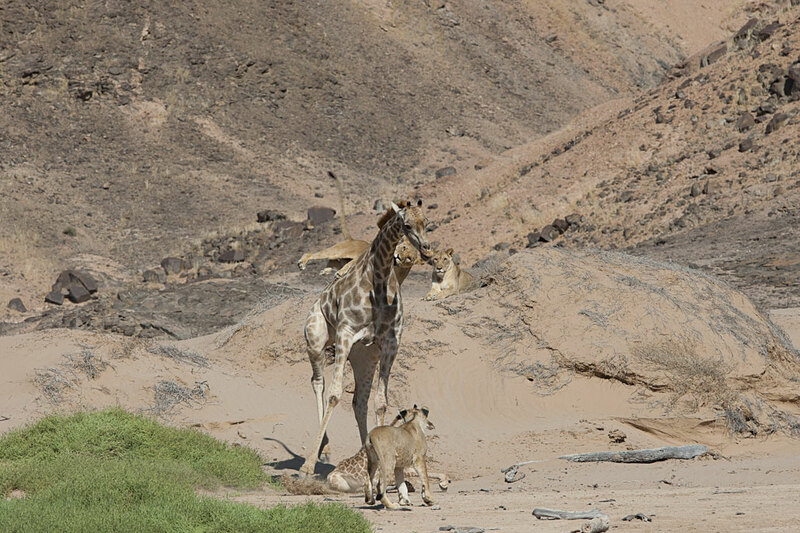 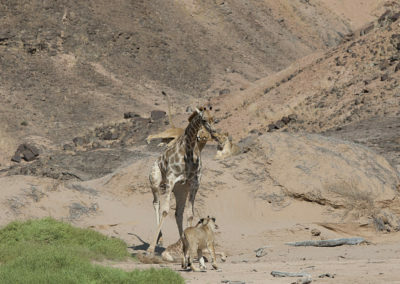 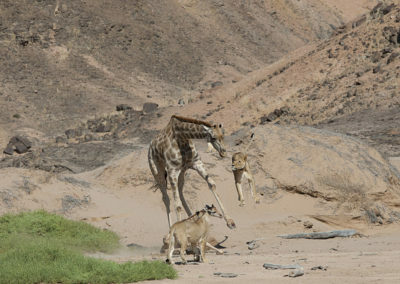 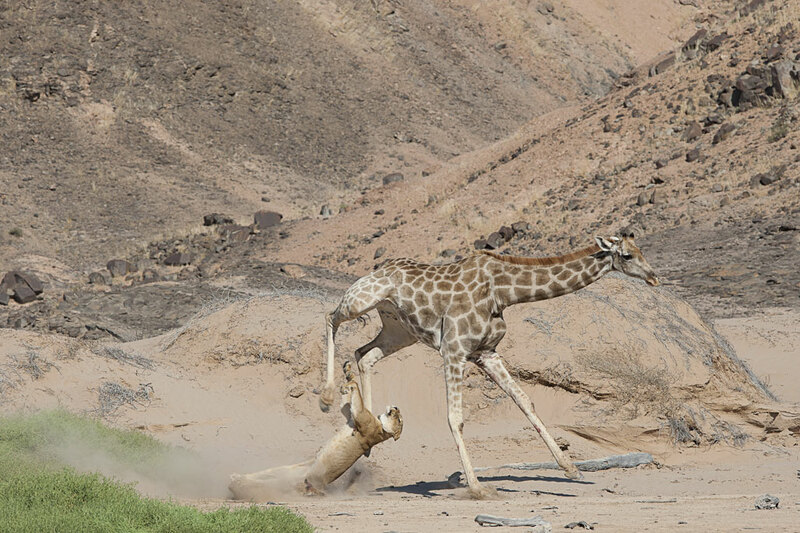 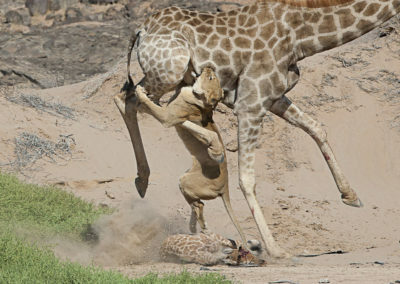 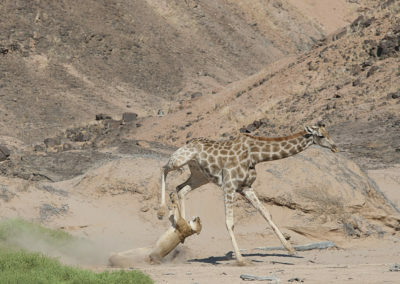 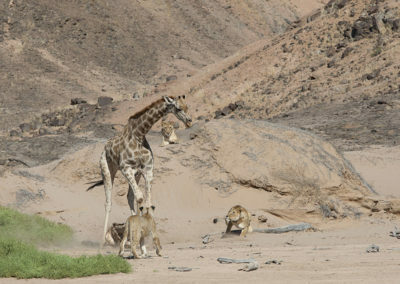 A dramatic scene unfolded on the Hoanib Floodplain on 20 May 2009, when the three large cubs of the Floodplain pride cornered a female giraffe with a small calf. For several hours the giraffe mother protected her calf and kept the young and inexperienced lions at bay with her powerful kicks. 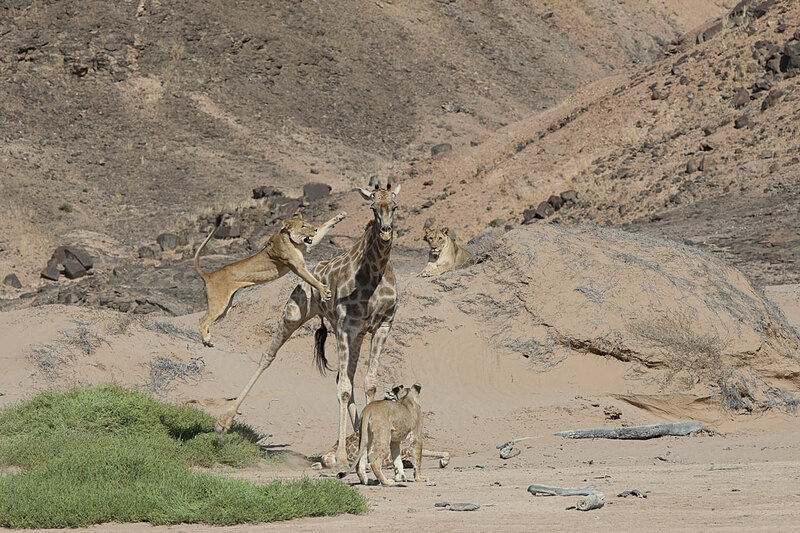 When the old lioness, The QueenXpl-10, who was sleeping several hundred metres away, became aware of the commotion, she came charging in and without hesitation attacked the female giraffe. 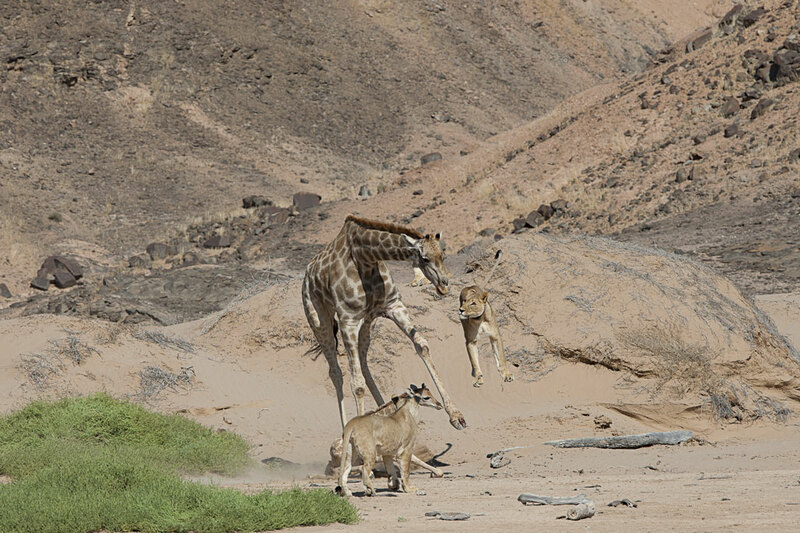 As she jumped on to the giraffe, a powerful kick propelled her over the startled animal. 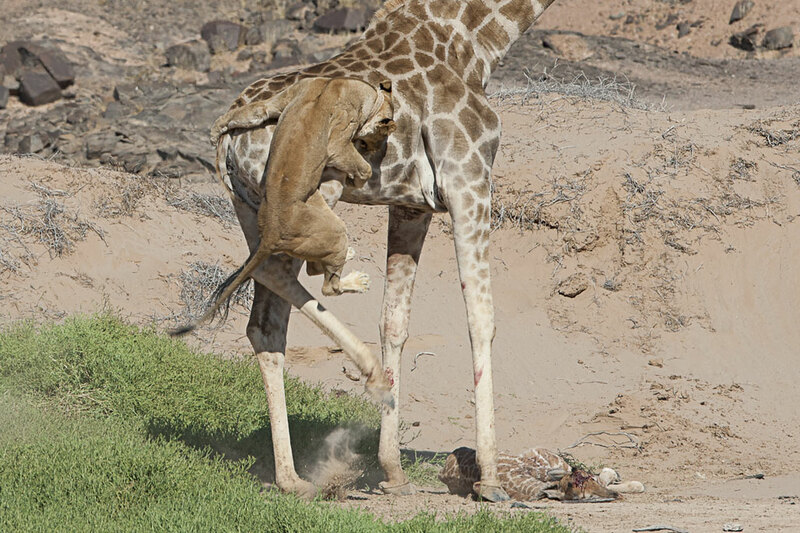 But she landed on her feet, as a cat would do, without taking her eyes off the giraffe. 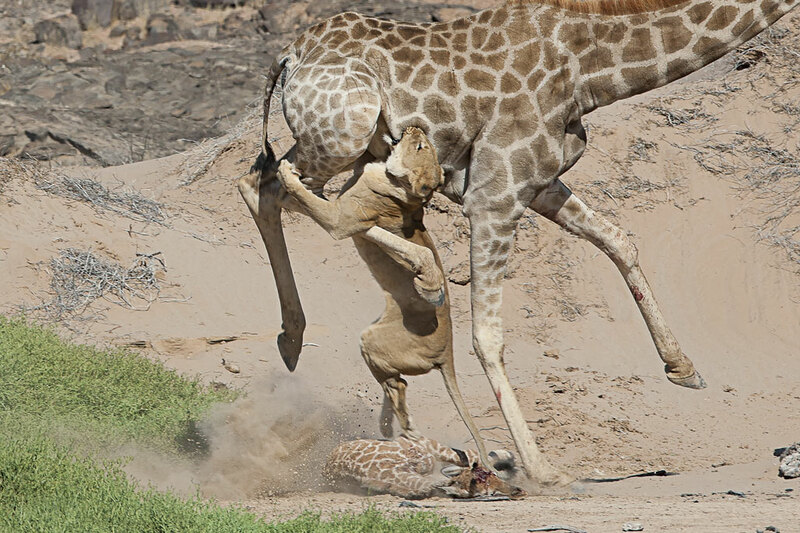 She slunk around the giraffe, avoiding the vicious kicks from both front and back legs, and timed her attacks. 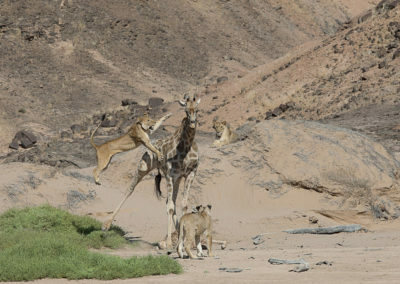 She jumped on to the giraffe twice more before the terrified mother managed to free herself from the lioness’s claws and escaped. 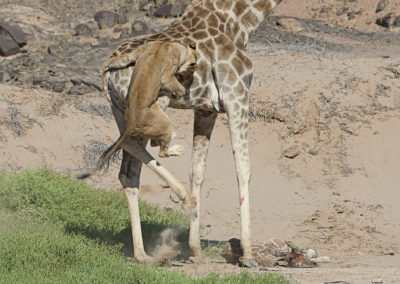 The lions then killed and consumed the small calf.